We have all the types of Bed Bases at my deal that are currently on the market. Also, if you do not know how to choose a bed base suitable for you or your family, our advisors are always at your disposal to advise you and that you are totally satisfied with your purchase. There are different types of mattresses with different properties. The materials with which they are made make firmness, adaptability or lying vary. But not only that. The base we use will also have an impact on these properties, so it is convenient to know how to choose a bed base according to our needs and preferences. Today in the market we find several options. From the simplest bases to others of high performance, others with storage. Next we will see what types of bases exist and what mattresses are the most suitable for them. We can classify them in two ways: by the support surface of the mattress and by its structure. Today we will see the possibilities according to the surface on which the mattress rests. The slatted slats offer excellent breathability to the mattress, as they allow air to circulate through the sheets. In addition, they offer a fairly elastic support, although obviously not all bedspring offer the same benefits. Ideally, if you are going to get a sheet base, natural wood, vaporized beech, for example, is excellent for these bases. In addition, you must take into account the materials of the studs, if they are tilting. 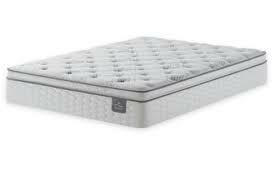 This type of bases is very suitable for latex mattresses thanks to its excellent breathability. It is also suitable for viscoelastic and spring mattresses. In the case of pocket springs, it would be ideal to look for another type of support since the springs can “sneak” between the sheets. The upholstered bases offer a much firmer support. They are ideal for those who want to accentuate the stability and firmness of the chosen mattress. Nowadays this type of bases is usually upholstered in breathable fabrics that favor the elimination of humidity. In addition they also usually have the perforated lid to encourage air circulation. If so, these bases can be used with any mattress, making it firmer. If they lacked a ventilation system we could not use latex mattresses. The articulated bases have ceased to be something exclusive of hospitals and nursing homes and more and more people have one in their home. This type of bases offers many advantages, especially in terms of comfort and convenience. If you decide to choose an articulated base you will have to take into account the type of mattress in a specific way. Not all mattresses can be articulated. For example, spring mattresses are usually not suitable for this type of bases, although we can find some model specially designed for it. Previous PostPrevious How beneficial is it to go for Ducted Air conditioning installation?